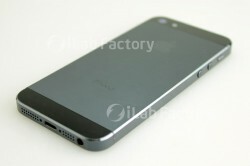 The latest iPhone 5 rumor points Apple to announce the phone on September 12; now, according to iMore, Apple is said to take pre-orders on the same day as the announcement, September 12.
iMore, who has been correct on previous iPhone rumors, has said before that the iPhone 5 will have a smaller dock connector, said that the Apple will announce the next iPhone on September 12, and said that the iPhone will go on sale on September 21. The possible reason for Apple to accept pre-orders is to maximize consumer excitement. Before, consumers had to wait as much as a week after the announcement to be able to pre-order the iPhone. The iPhone 4 took more than a week after the announcement before they can pre-order one, but the iPhone 4S took only three days after the announcement before they can pre-order one. If the reports are true, the pre-orders will allow consumers to instantly take out their credit card and pre-order one after the post-announcement high. Also, as iMore said that the United States and select other regions will get the iPhone on September 21st, iMore is also saying that the iPhone5’s international roll out is likely to be on October 5th. Additionally, reports are saying that the mobile carrier AT&T is preparing for an iPhone launch in late September as the carrier implemented blackouts on employees vacation days until middle of October. As with most rumors, it is not set in stone as Apple has not sent out the press event notices. Though the reports are showing that the rumors are likely to be true.